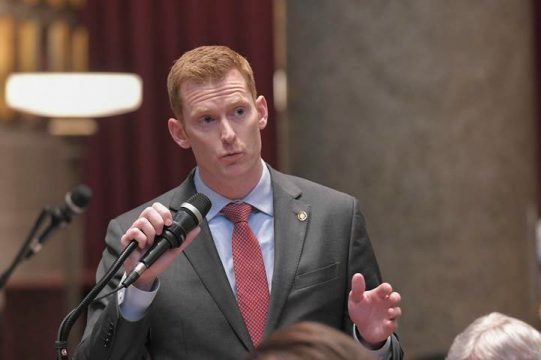 JEFFERSON CITY – Workforce and economic development have been a driving force for the Show-Me State and Representative Derek Grier, R-District 100, along with Representative Kathryn Swan, R-District 147, have continued their efforts in making it accessible for all Missourians. Grier grew up in the St. Louis region where his family owns a small business. His background in economic development came in handy when he was appointed as chairman of the Economic Development Department by speaker of the house Elijah Haahr. Both economic and workforce development, as well as licensure reform, are Grier’s three main areas of interest. Currently, Grier has HB 469 moving through the system, which deals with the reorganization of the Economic Development Department in an effort to “consolidate and refocus” the department. Through the Missouri One Start Program, the piece of the legislation that Grier has been working on, all three training programs in Missouri are being combined into one cohesive program. 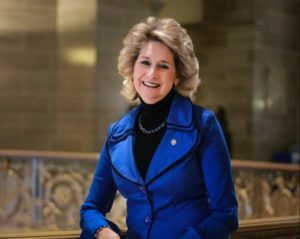 “[The program] is going to allow greater access for companies that are looking to train their employees and either relocate to Missouri or are existing businesses looking to retrain employees on new skills,” Grier said. With the reorganization of the department, the focus is zoning in on core competencies and specific aspects in Missouri that are driving the economy. “It does that by helping provide a path for them to get licensure and it basically says that boards cannot deny somebody a license for a crime that has no correlation to what that profession is,” Grier said. For example, if someone who was convicted of mortgage fraud is applying to be a cosmetologist, through HB 564 the cosmetology board cannot deny that individual. In addition, the bill requires boards to tell individuals upfront and publish a list of what types of crimes are going to prevent them from getting a license. Grier said the requirements from boards also allows for more transparency in the process and helps the state to look at its workforce at a more comprehensive level. Legislation like Missouri One Start and Fresh Start give the state ways to partner with communities and train workers as well as looking at creative ways to drive economic development. Missouri has limited tools to do just that, according to Grier, so the state has to make sure the tools available are being used as effectively as possible. “Tax credits are a good example…[they] can be a tool to drive and incentivize the right kinds of economic development,” he said. Similarly, Representative Swan’s bill, HB 225 or Fast-Track Workforce Incentive Grant, is a needs-based scholarship program for tuition and fees toward a certificate, industry-recognized credential (IRC), or undergraduate degree in an identified occupational shortage area. Fast-Track targets the adults, 25 and older, who find they need additional training in order to better “qualify” for a position. Swan found that there are groups of individuals who need additional training but do not have the opportunities because it is a needs-based program. The state has the A+ Program as well as Access Missouri. However, the adults who are working and have families, are “ignored” in the training programs offered. A lot of preliminary work has already been completed on behalf of HB 225 in identifying what some of the state’s workforce shortages are. Best in the Midwest has provided a lot of research in calculating the state’s job opportunities at differing levels of expertise in 10 different sections of the state. “The bill will have an even better handle because the Department of Higher Education has to, as part of the bill, recognize where the workforce shortages are and what they are,” Swan said. To qualify for the incentive grant applicants must be a citizen or permanent resident of the U.S.; be a Missouri resident; be 25 years of age or older; not have been enrolled in an academic program 2 years prior to application; have not already earned a bachelor’s degree or higher; must complete the FAFSA; be enrolled or plan to enroll at least half-time in an eligible program of study; and have an adjusted gross income (reported by FAFSA) not exceeding $80,000 for married filing jointly or $40,000 individually. Those who receive the scholarships may use it at a public, private, or virtual institution approved by the Department of Higher Education for either IRC or an undergraduate degree. A list of the approved institutions is expected to be completed as soon as June 2019. Currently, Swan said they are looking at how quickly approved institutions will be able to respond once the bill passes. With talk about HB 225 not going into effect until August 28th, the question is how will institutions be able to implement it into the fall semester? Swan noted that there are many programs that are only 8-week programs and do not begin in August. Those programs should have no problem in implementing the bill. Not only have these bills shown a great amount of bipartisan support, but Governor Mike Parson has also set these types of programs as his priorities. “I think there’s a large consensus from folks, Republican and Democrat, that these are important things to get done,” Grier said. The work to do now, according to Grier, is making sure that people are educated on what is trying to be accomplished for the state. In terms of the Better Together Plan, Grier said a City-County merger could potentially create a bigger mess in trying to drive economic development as opposed to clearly showing how already proposed initiatives can be completed successfully. Grier explained the plan cannot just be about merging the city and county together, but looking at municipal consolidation, consolidation of services, finding greater efficiencies within local government, and finding ways to prevent the local municipalities from making it challenging for people to work in the region.